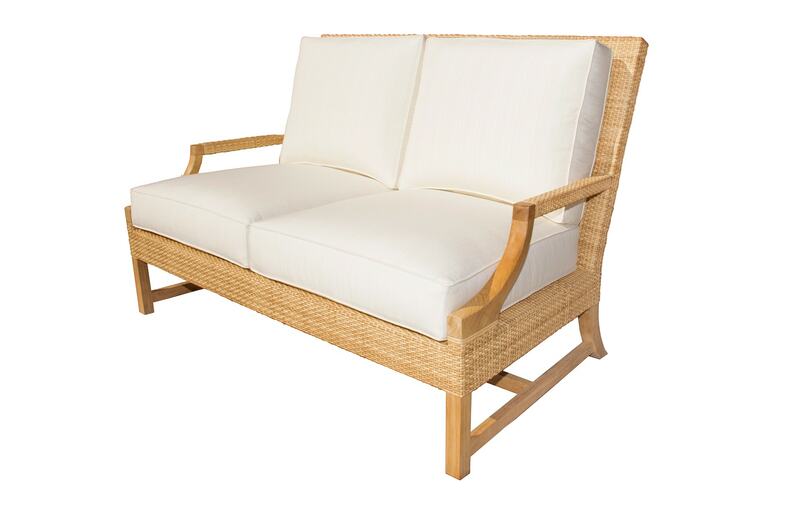 A romantic design from Michael Taylor, the Riviera Loveseat is a charming two-person outdoor seat for days spent in total relaxation. 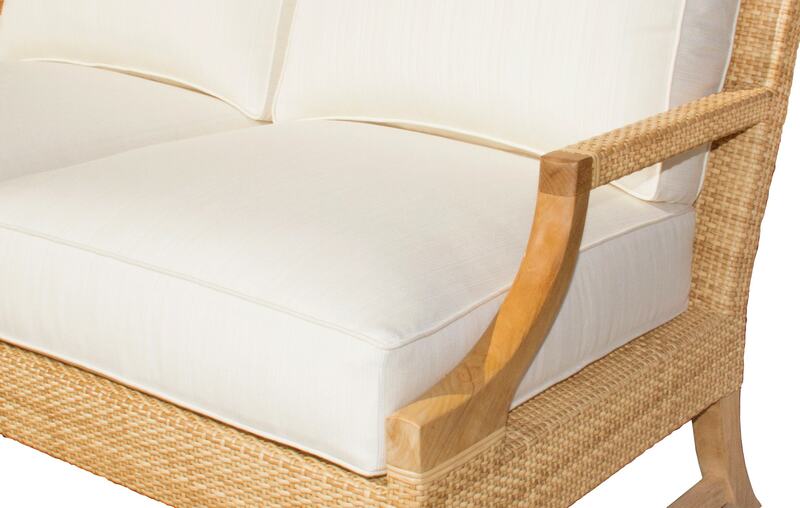 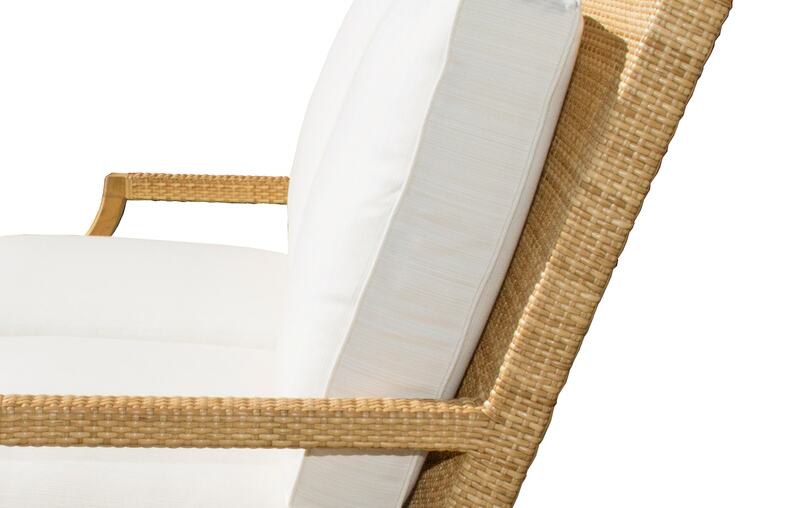 Handmade from natural resin wicker, this piece features quick drying back and seat cushions. 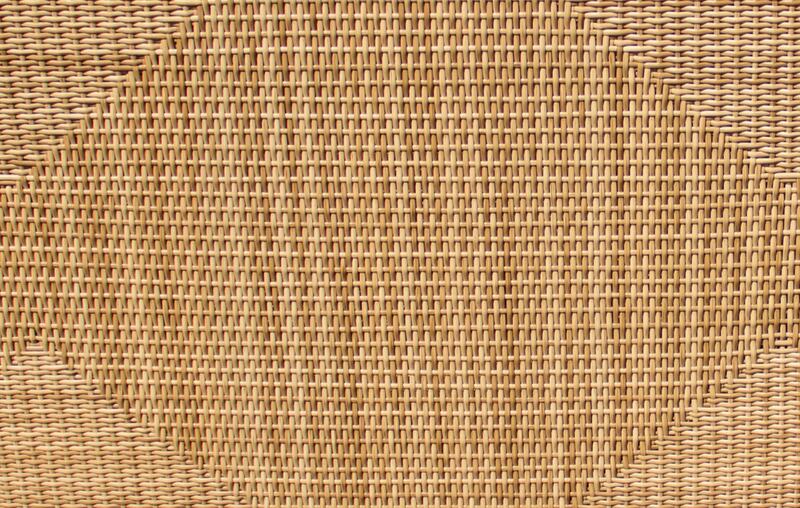 11 yards of customer’s own material required. Crafted by Michael Taylor Designs, a California based studio famed for designing sumptuous outdoor furniture. 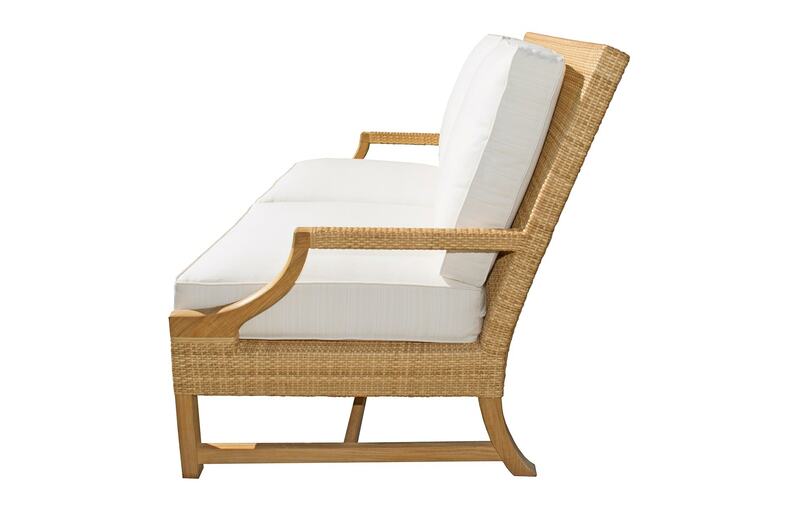 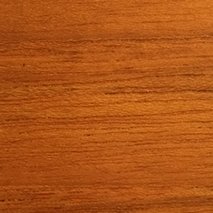 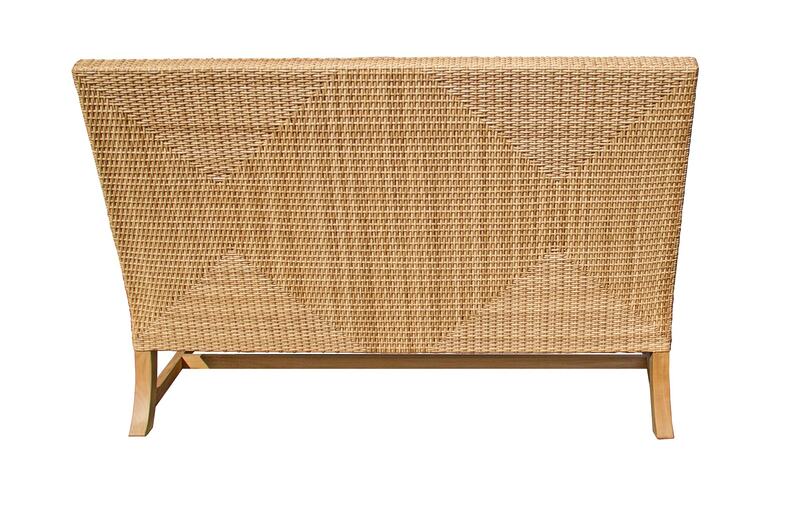 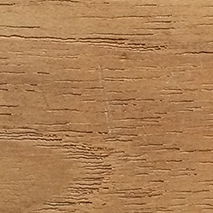 Available in Natural Resin Wicker, Oiled Teak and Unfinished Teak.